Provide a site visit and recommendations (survey and design if necessary) for any drainage concerns on your property. We can also provide drainage tile layout as well as GPS the tile and provide you with a map. 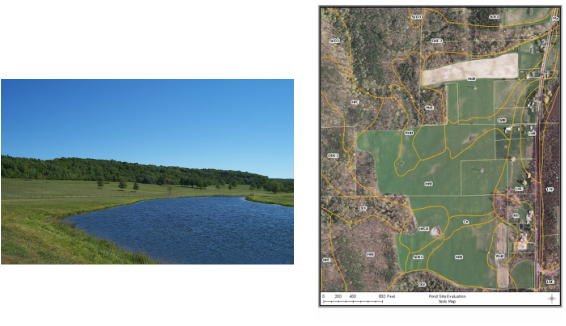 Will conduct a site visit, determine suitability and provide a topographic map (with recent aerial imagery, soils and other pertinent layers) of your property prior to pond construction. Barley Straw is used to control algae in ponds. The application rate is 5-6 bales per surface acre. Can be applied in Spring and Fall. Check with local farmers to see if they have any for sale. 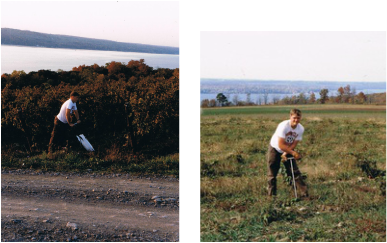 Landowners can bring in a soil sample to the District and we will send it out to the lab to analyse the nutrients and pH and will help you understand the results when they come back. The cost is $20 per sample. The District will assist landowners in applying for permits for their shoreline, stream stabilization, and stormwater management projects. All paperwork for the applications will be put together and mailed to the issuing agency and we will work with the agency on any questions they may have during their review until the landowner gets the permit. **Please contact the District if you have questions regarding any natural resource concerns.